We are maufactring for our client a wide range of Charging Coil in which we are dealing with. This product is used in all vehicles. We are given this product as per the specification of client. It is used in following automobiles. - perfect timing and voltage. - pre-sized for direct fitment. - high quality japanese copper wire used. - tinned contact for easy solderability. 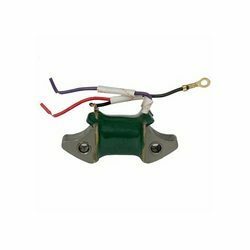 These coils are used for ignition purpose (spark generation) in automobiles & as the name suggests lamp coils are used to generate output for illumination & for battery charging purpose. With the years of experience in this domain, we are capable of providing of Charging Coils. Our products are widely acknowledged for their durability as well as high reliability. 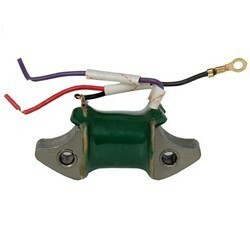 These coils deliver high performance and are also available in customized form. We are given our client a wide range of Charging Coil in which we are dealing with. This product is used in all vehicles. We are given this product as per the specification of client. Being a quality oriented organization, we are involved in providing supreme quality range of Wireless Power Charge Coil. Owing to the wide experience in this domain, we are instrumental in offering Charging Coil. Being a customer oriented organization, we are highly engaged in offering a wide range of Charging Coil. Two and Three Wheeler Charging Coils from Bosch are made with high quality raw materials processed with the help of high precision machinery. These coils are rigorously tested at each stage of the production process at upto ten times of hte required voltage to ensure zero defects. All electrical parameters as per OE specifications are strictly adhered to while testing. SAP Swiss Solutions Pvt. Ltd.